Our Agriculture Division provides fiberglass wildlife watering products to help you manage your wildlife resources with less maintenance and worry. We have a full line of guzzlers, walk-in drinkers, insulated boxes, spring boxes, tire tank covers, and other durable enclosures and products that provide dependable service in the management of upland bird and big game populations. LFM’s fiberglass wildlife products present outstanding value on several levels when compared to steel products. We have been a leader in the fiberglass tank industry since 1974, and we stand by all of our wildlife products, some of which have been in active service for decades. We utilize the latest equipment available in the industry today, which allows us to supply our customers with the very finest quality fiberglass products. 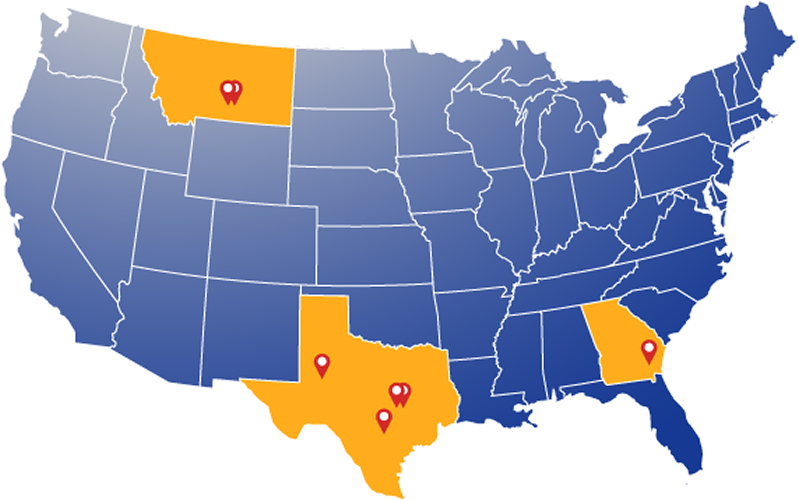 Headquartered in Giddings, Texas, LFM maintains production facilities across the United States to provide timely service to customers operating in isolated areas. No matter what specific challenge you face, LFM can guide you through the entire scope of your project. From CADD services for custom applications through technical support, budgetary estimates, mold fabrication, transportation, and field service after delivery, we are here to serve you. LFM’s wildlife watering products are light enough to be installed manually where water is available, eliminating the need for heavy equipment and extensive piping. Our fiberglass wildlife watering products are corrosion resistant, which means you won’t have to spend time and money on extra corrosion protection, such as external painting and internal coating. With no corrosion or rust to worry about, you can keep your mind on your animals, not on replacing your equipment. LFM’s fiberglass tanks present an outstanding value when compared to steel or concrete tanks. Our tanks have a longer service life than tanks fabricated from other materials, which translates into replacement cost savings. Additionally, our high-quality, one-piece tanks come with easy and cost-effective installation. LFM maintains numerous certifications for both technical and quality assurance programs. Each structure we manufacture is archived in our system, with the production and inspection documents showing raw material usage, wall thickness, resin qualities, fittings, and accessories. These documents are maintained on site for future reference and customer inspection. LFM’s fiberglass products are designed and manufactured for your specific application. We meet or exceed industry standards to insure long and trouble-free service. All of our wildlife products are designed and fabricated to provide years and years of reliable service, unaffected by exposure to wind, sun, and freezing temperatures. LFM guzzlers and walk-in drinkers are available in a variety of sizes and capacities. As with all LFM products, our guzzlers and walk-in drinkers are also available in custom configurations to meet your particular specifications. Typically, our guzzlers feature a one-piece tank, a dome cover / collector, dome hangers, and a walk-in drinker (plumbing by others). LFM offers a line of specialty waterers to meet the needs of landowners with an active bird and small animal population. As with all LFM products, our specialty waterers are available in custom configurations. * Chukar waterer includes cover and walk-in ramp. Note that our large and extra-large walk-in drinkers have reinforced bottoms that allow for use by large animals including bison and livestock. LFM has its own fleet of delivery trucks specifically equipped to transport fiberglass tanks. We employ a professional delivery staff whose primary goal is to provide safe and courteous on-time delivery of our FRP tanks to our valued customers. Our fiberglass tanks are much lighter than steel tanks, and our products can be stacked without sticking to allow for more units per load, making them more affordable to deliver and easier to handle. These factors help to keep delivery costs low. At LFM, we stand behind the products we build. We offer a one-year warranty for workmanship and a lifetime warranty against rust and corrosion on our fiberglass wildlife products. Speak to your LFM sales representative for complete details.